The Acer Chromebook Tab 10, the first tablet running the same reliable operating system as Chromebooks, is now available. 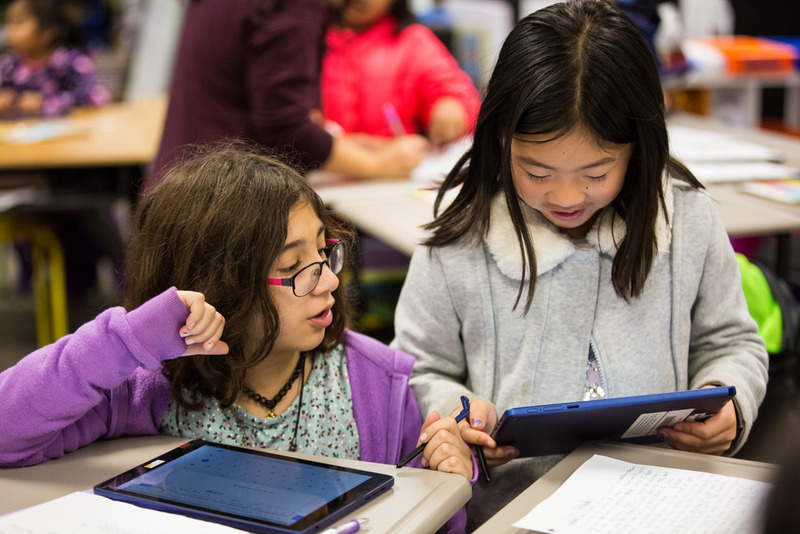 Teachers told us they wanted the same speed, ease of use, manageability, shareability, security and affordability that they’re used to with Chromebooks—but in a lightweight, durable tablet. With built-in stylus, cameras on both sides, ultra-fast USB-C charging, a wide array of apps, and Expeditions VR and AR in time for back to school, the Acer Chromebook Tab 10 brings learning to life. We’ve partnered with STAEDTLER to create a stylus that’s useful for both teachers and students—and doesn’t break the bank. This stylus requires no pairing or charging, and is designed with affordability in mind. Using the stylus, educators can give visual feedback in Classroom, as well as assign PDF worksheets that students can annotate by hand. . The STAEDTLER Noris digital for Chromebook works with a wide array of apps and will be available later this summer. Jamboard, the interactive whiteboard, is coming to the classroom with new educational pricing and the free companion app. The app works with or without a Jamboard unit, and runs on all touch-convertible chromebooks supporting Android Apps and the Acer Chromebook Tab 10.